Two CIA psychologists, who were architects of the CIA’s torture program, have resorted to defense arguments once used by accused Nazi war criminals in order to claim they should not be held liable for torture. 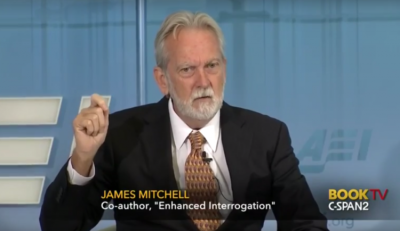 James Mitchell and Bruce Jessen were contracted by the CIA to develop, implement, and personally administer the agency’s experimental torture program against detainees in the War on Terrorism. The American Civil Liberties Union (ACLU) sued Mitchell and Jessen on behalf of three men, who were tortured. The case alleges Mitchell and Jessen engaged in crimes that include water torture, forcing prisoners into boxes, and chaining prisoners in painful stress positions to walls. Ahead of oral argument in Spokane, Washington, on July 28, defense lawyers for Mitchell and Jessen invoked [PDF] the cases of Karl Rasche, a banker who “facilitated large loans to a fund at the personal disposal of Heinrich Himmler,” the head of the S.S., and Joachim Drosihn, who was a gassing technician for the firm that manufactured the poison gas, Zyklon B, used to exterminate Jewish people in concentration camps. “Here, it is undisputed that, as independent contractors serving on a larger interrogation team, Defendants lacked authority to “control, prevent, or modify” the CIA’s decision to use [enhanced interrogation techniques] on detainees,” their defense added. Their defense insisted when they wanted to stop the waterboarding of Abu Zubaydah they had to obtain approval from CIA Headquarters, “which was denied.” They are not liable for the CIA’s alleged “criminal use” of torture because they had “no ‘influence’ over the application of EITs” on CIA detainees, even if they played a part in the supply and use of torture techniques. “They were instrumental in the creation and the implementation of that program. They were the ones arguing [for it with the CIA’s leadership]. They were not innocent bystanders,” Kiriakou added. Mitchell and Jessen were not powerless individuals lacking influence at the CIA. “It is illegal to follow an order that is illegal. That was determined during Nuremberg. You have to refuse to follow an illegal order. You’re compelled to refuse,” Kiriakou declared. 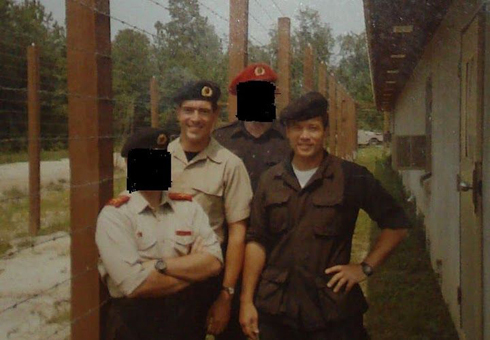 In a previously published interview, Kiriakou and former U.S. Marine Joseph Hickman discussed their book, “The Convenient Terrorist: Two Whistleblowers’ Stories Of Torture, Terror, Secret Wars, and CIA Lies.” It definitively explores the case of Zubaydah, which Mitchell and Jessen were involved in torturing. “We have a federal torture act in this country passed into law in 1946 and signed by President Truman that specifically outlawed exactly the techniques that Mitchell and Jessen had used against Abu Zubaydah,” Kiriakou said. When he was first waterboarded, Zubaydah “coughed, vomited and had ‘involuntary spasms of the torso and extremities.’” Zubaydah maintained he had no information to provide on threats to the United States.